What is a TV Box & How does it work? There are dozens of great entertainment options available today so people don’t need to rely on cable or satellite television to watch something interesting. They can simply connect to the Internet, choose a streaming service or digital entertainment platform like YouTube and get access to great content. This content is only available if your device can connect to the Internet, which most regular televisions can’t do. That’s where TV Box Australia comes in. What is a set top TV box? If you’ve been browsing the Internet to find a way to get Netflix on your TV, you’ve probably encountered the phrase “set top TV box”. To put it simply, this Android TV box is a device that connects a television to the Internet and has a pre-installed operating system based on Android. This system provides a secure platform for different kinds of apps so you can access content through these apps easily. TV boxes run on Octa-Core processors so they are quite powerful. They also have inbuilt storage to house the operating system or apps. The storage isn’t sufficient enough to house media, so all content must be streamed. An Android TV box isn’t just limited to streaming apps or video content platforms. It can turn your television into a smart device and give you access to the Chrome browser, radio stations, social media apps like Twitter and Facebook. How does a TV Box work? Connect the box to the TV with the help of an HDMI cable. Make sure there’s an Internet connection near the box or the installation site has a strong Wi-Fi signal. If you’re not using Wi-Fi, connect the Internet device to your TV Box Australia through an Ethernet cable. The box comes with the latest version of the Kodi media player and with many pre-installed legal apps. You can download your preferred apps onto this platform as you would on your mobile phone. The product will come fully pre-installed so the users won’t face any problems during the installation process. Operating it is very easy if you’re familiar with apps like Netflix or YouTube and know how to use them. Immersive Experience – Your phone or laptop won’t offer the same level of immersive experience as your television will. Watching movies or videos on a large screen with a good sound system provides the best experience. Versatile – The TV box allows you to access all kinds of media. You can stream live events, listen to the radio, listen to podcasts or audiobooks, play app-based games, browse through personal pictures and videos, watch movies and programs, etc. Access to Australian Apps – There are many international versions of TV boxes, but they don’t really support Australian apps very well. 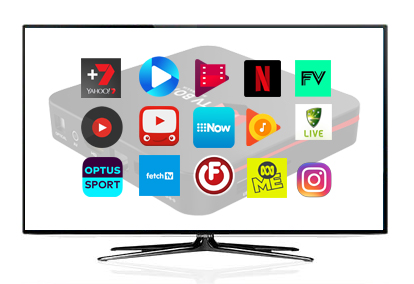 TV Box Australia doesn’t just provide an immersive experience, it also provides easy access to Australian streaming and media apps. Legitimate Kodi Based Boxes – Many boxes available on the market provide access to free media content and are illegal. They have Kodi media player but install other apps like Showbox or Modbro, which are illegal in Australia. TV Box doesn’t have illegal apps or other such bloatware so you can watch paid content legally and without interruptions. We’re an Australia-based company and will ship products to all corners of the country within 2 to 3 days, which means you can start enjoying content quickly. You can browse through our features page to know more. What Can a TV Box Do? It can do everything a small, basic computer can do when connected to the Internet. You can browse through different forms of content, download a large number of apps, and even send emails if needed. Most users utilise it for media consumption, particularly video media consumption, and not much else. If you want to stream Netflix, Hulu, watch movies on Google Play, binge watch YouTube videos, then this is the best platform for you. If you are still not clear and are asking yourself “What is an Android TV Box?”, our customer care team can help. They are experts in Android TV systems and understand the platform very well. They will help you with everything from purchase and set to troubleshooting. 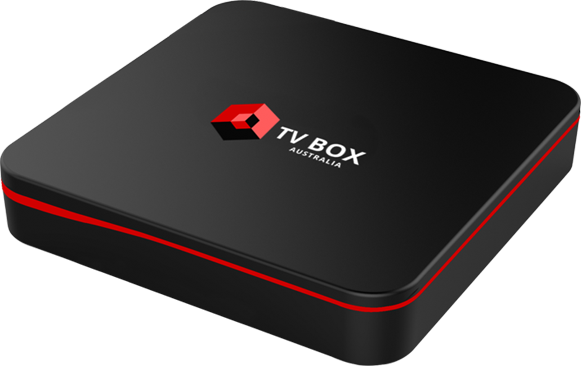 If you want to know anything more about our services, don’t hesitate to get in touch with us at TV Box Australia. You can reach us through our contact us form or browse through our FAQ page. You are sure to find the information you need.